Courtenay Web Design, Internet Marketing, Search Engine Optimization. 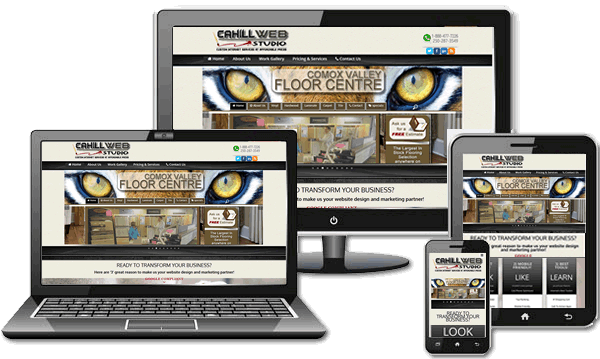 Searching for a Courtenay web design company? Well website designers seem like they’re everywhere nowadays so you’ll likely have quite a few options. You may also be looking around for website design rates, wondering how much you need to invest and what you can expect in a redesigned site or new website design for your business. How much for a professional website design? Well, like with most everything else website design prices seem kind of hard to pin down for some reason. Not only are there a lot of different degrees of designing skills and services provided when it comes to web designers, you also want to know what’s included in the price? At Cahill Web Studio, we aren’t afraid of answering a direct question like this. Check out our rates page for some general info and project outline that may be of help. Lets talk about website builders, you know the ones that offer you websites for free or some for just pennies a day. Or maybe you know someone who has a little bit of experience designing sites and they can do one for you for almost nothing – like the price of a couple beer and a BBQ. Sounds good right? Well maybe not, when you consider the saving yourself the time, money and energy, the cheap website falls way short of creating a distinct brand image and will probably just occupy a lonely spot on the Internet with no visitors to show for all that effort. Many of these sites will be written with bad spelling or grammar, no search engine best design practices and may never return any investment for your business, regardless of how little you invest. 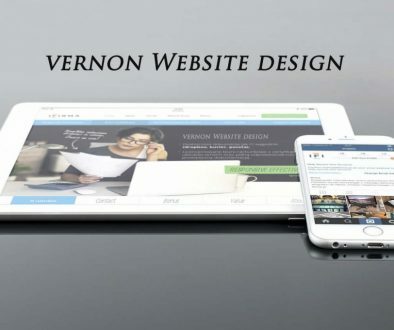 A Professional website designer has the skills and training to create new opportunities for your business online, by driving quality web traffic, and ultimately winning you much needed leads and/or online orders. After all, a well designed and effective website will act as a critical sales agent for your organization, operating 24-hours per day. It’s for this reason, you may consider investing a bit more on your website than a couple of beer and a BBQ -your business is worth it. Answers to questions about website design rates from some companies can be like pulling teeth. We get it, nobody wants the one-size-fits-all website design package, but who doesn’t want some straight answers when it comes to how much, even if it’s just kind of a ballpark estimate. Hey we know we’re not the lowest priced Courtenay website design company, but we certainly think our over bang for buck is about as good as it gets and we certainly won’t ever shy away from discussions around our rates. Most businesses we know are looking for the best overall value and probably not the lowest price. As all of our previous clients can attest, we ensure your brand message is portrayed the right way. Our website designs are creative, simple and offer exceptional value. 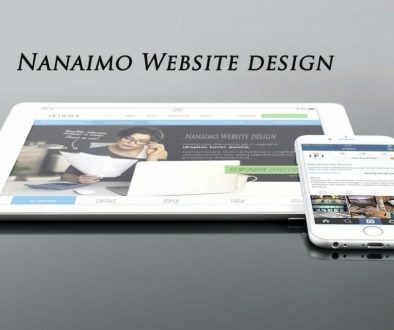 We’re a Vancouver Island owned and operated website design company that’s been in business for over 25 years and we love building success for local businesses. Maybe not. Most people in the web design business probably tell you you do need a website, but there are no rules that say every business must have one. 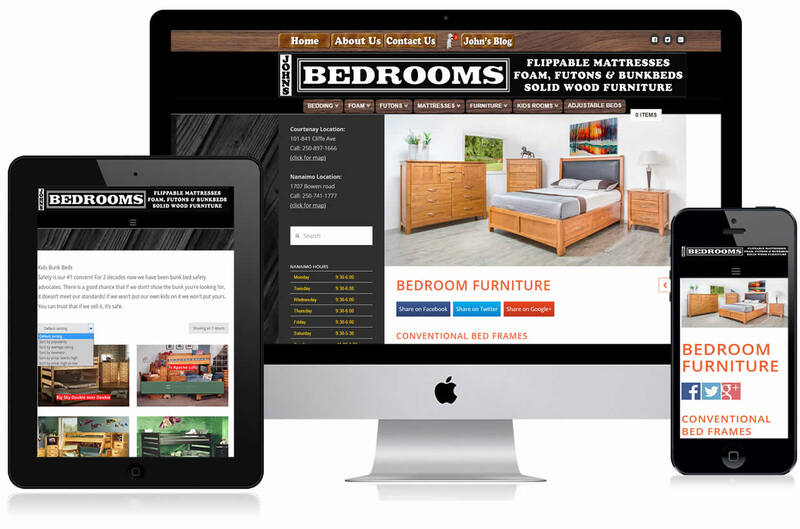 Most people do most of their looking for products and services online and expect a business to offer information online, however, you can probably think of many Courtenay businesses that do just fine without any web presence at all. Just like any marketing strategy you initiate, Internet marketing should really be about a measurable results, your return on your investment and while websites are usually great for client communication, they don’t necessarily generate dollars for your company without a good strategy to do so. OK so you’ve launch your new website and hired new staff to help manage the crowds.. think again, this does not automatically mean your visitor traffic will start flowing in, and you’ll be drinking all this extra business out of a fire hose.. some businesses have discovered this the hard way. It doesn’t matter whether you invested a few hundred bucks, or tens of thousands into creating you new website, a website that no one visits is simply a waste of money and time. A realistic look at your traffic expectations and a plan on how to specifically attract this traffic to your website before you build it is a crucial step. There are a lot of ways to draw online visitor traffic to your website, whether it’s advertising referrals, linking or an Search Engine Optimization campaign that will grow your keyword rankings through major search engines. But whatever you do, don’t make the mistake of believing that your website will somehow just magically get that top spot in “Google rankings” all on its own -because it won’t. Whether you are targeting visitor traffic locally in Courtenay, BC or globally, you may find it challenging to achieve a top ranking search result for keywords, particularly if you are developing a new website and have a lot of competitors. 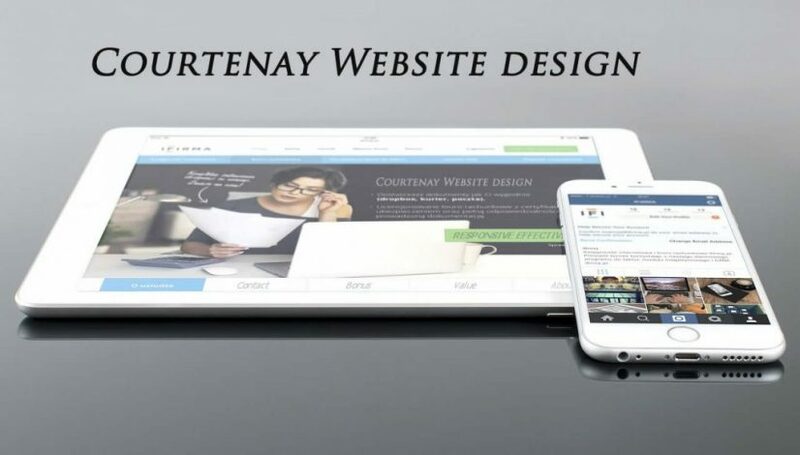 Want more information on our professional Courtenay Web Design services.